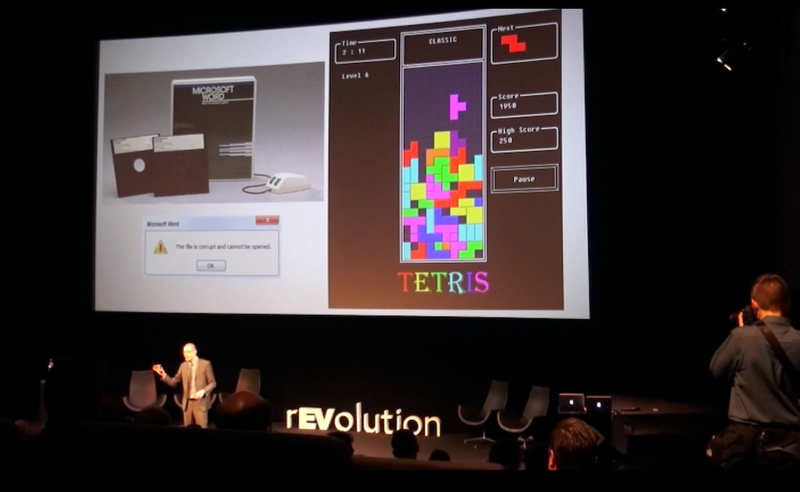 I gave a presentation in March in Amsterdam (Holland) at EV-Box’s 1st annual rEVolution summit. When creating my presentation, I decided to dive into a theme that I’ve been increasingly compelled to focus on — how do you communicate electric transport to “outsiders” in the most effective way? Electric vehicle (EV) technology is going to move forward one way or another — the people able to improve EV batteries are already focused on that or will be pulled to it via means other than my simple presentations. But all of us are involved in communicating EVs to others, and more so if we work in the industry in some way. Furthermore, when it comes to “revolution,” the critical point is quick and dramatic change. We need “rEVolution” (a quick transition to EVs) because our world is going to melt if we don’t stop flooding the atmosphere with CO2 very soon. If you ignore all of that, hey, who really cares about the speed of the transition to EVs? But I think we should all care about protecting our planet and human society, so we should try to hasten the transition to electric transport. When it comes to messaging, there are generally two keys to success: 1) keep the message simple (aka powerful and memorable) and 2) repeat it, repeat it, repeat it. If you can’t handle politics, feel free to skip the next few paragraphs, but I think they’re hugely useful for understanding the power of strong messaging. If you watch the full video above, you can see that I hopped off into a little discussion about Donald Trump in the course of my presentation. (Note: The presenter before me, the CEO of a notable German company, did as well, and the event moderator also nudged me in that direction — not that I wasn’t planning to spend a little time on the matter anyway.) While this part could come across as a side tangent, I think the case study is actually one of the most effective ways to communicate one of the fundamental points of my presentation. The United States elected perhaps the most unqualified president in the country’s history last year (well, he got ~3 million fewer votes than Hillary Clinton, but he did win the electoral college), and this guy is widely considered to be a repeat con man (as just one example, be sure to learn about Trump University, which Trump settled a massive lawsuit about instead of defending it in court — and that’s despite saying that you should never settle a lawsuit against you). Put another way, a completely unqualified con man with good rhetorical skills could convince approximately half of the voting public to vote for him to become “leader of the free world.” I highly encourage reading Joe’s full article for more on this topic. This example is superb for the focus of my presentation. The result is so shocking that it demonstrates (among other things) the power of effective messaging, and also how astonishingly superficial people are. The key is that disruptive technologies are “disruptive” because they grow a bit for a while and then “all of a sudden” skyrocket. But they don’t only skyrocket because of technological advancement. They skyrocket for various sociological and economic reasons, and one of those is certainly the deep and broad power of word of mouth. With that long intro out of the way, the key messaging points that I believe we should be hammering home with regard to EVs are, ironically, the opposite of what many people think about electric cars. These are also key aspects of computers and smartphones that were critical to their growth. And electric cars are convenient. Ironically, because many people associate electric cars with hybrid cars (they often think a normal Prius is an “electric car”), they think electric cars are slow. In fact, the instant torque of electric cars is bloody amazing, and as soon as I experienced it, I was blown away that it wasn’t more widely highlighted. Sure, a Tesla Model S P100D is quicker than a Nissan LEAF, but even a LEAF has awesome, fun as a rollercoaster, exciting instant torque. Here’s an image demonstrating how a LEAF accelerates versus how a gasoline car accelerates. Regarding the convenience of electric cars, it’s again ironic that electric cars are typically portrayed as inconvenient even though they can be recharged at home (rather than at a gas station). The result is that you seldom have to spend any time on charging. 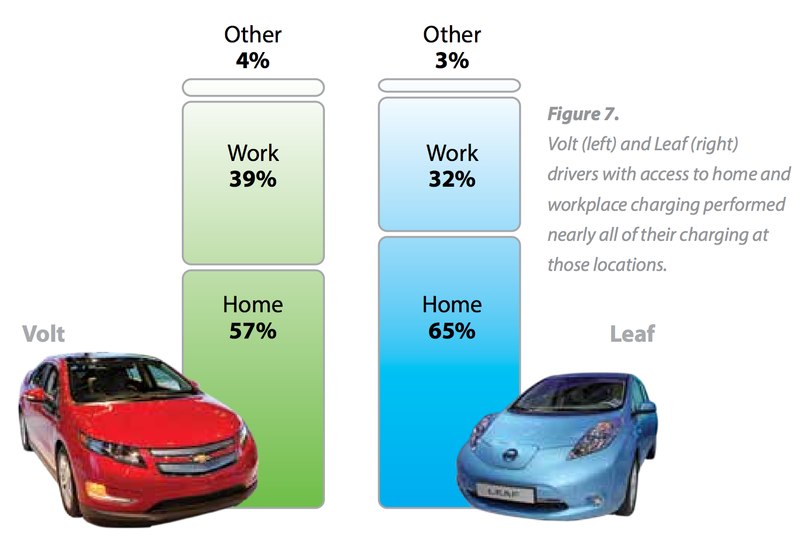 Many drivers can leave home nearly every day with a full charge. Given that these are two of the biggest benefits of electric cars and few people know about them (or actually have opposite viewpoints in their head), I think we need to continuously highlight the fun and convenience of electric cars. People will learn about this eventually, but the more we highlight these advantages via word of mouth, the quicker the transition will be. Look — deceitful but good messaging versus bad messaging (and word of mouth) somehow got Donald Trump elected to work in the White House at the most powerful level. Strong messaging is effective. Regarding other benefits of electric cars — like their importance for stopping global warming, cutting deadly air pollution, boosting your economy, and improving national security — I still think those points are worth highlighting in order to raise awareness about the issues and convince more thoughtful humans, but I believe we have to focus much more than we do on communicating the direct consumer selling points that appeal to people’s superficial, selfish, and shortsighted sides. That’s my story and I’m sticking to it. But watch the full presentation for much more nuance and an audio-visual method of communicating it all.